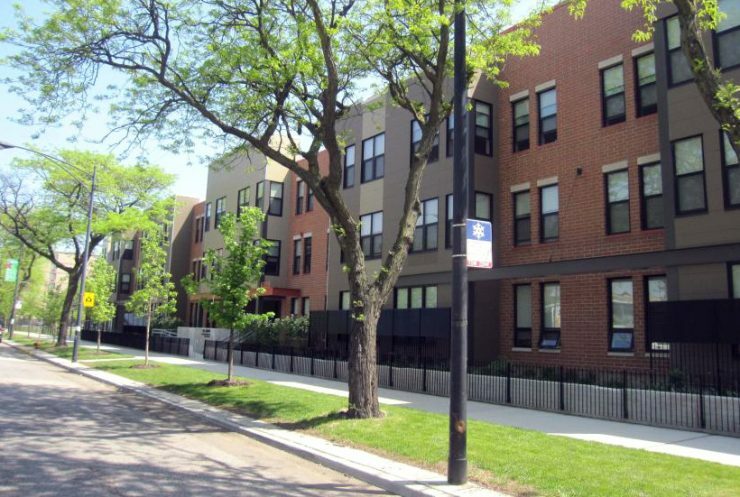 Woodlawn Park is a community development revitalization plan that replaces the former Grove Parc Plaza with a particular focus on community renewal and the restoration of historic linkages between the University of Chicago, the neighborhood of Woodlawn, Washington Park and the CTA green line. 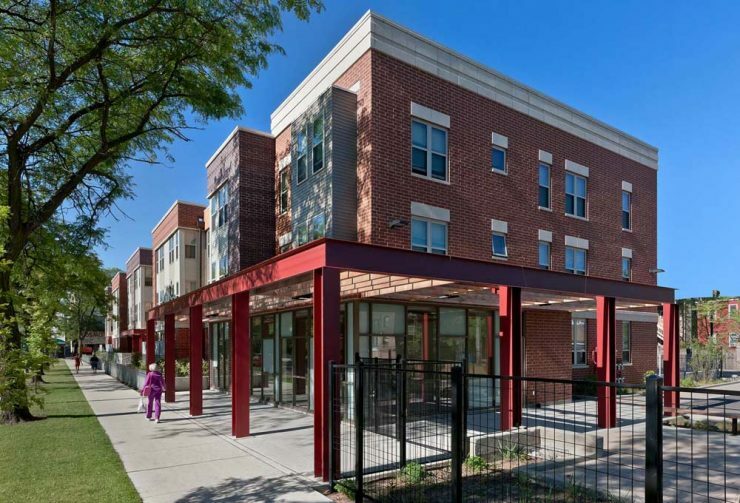 The previously existing distressed Section 8 complex included 504 units that were demolished in phases and replaced with a total of 404 units rebuilt as a mixed-income community over a four-year construction period. 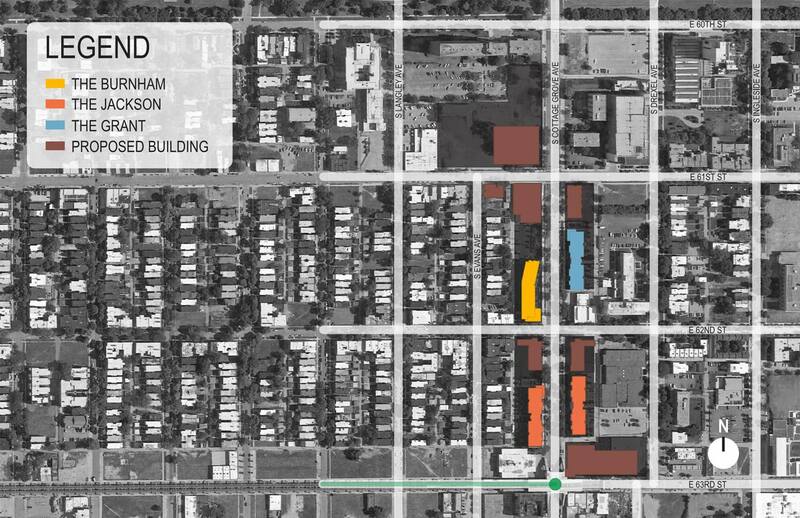 The development mix includes affordable, market-rate, and elderly housing as well as commercial and recreational components. 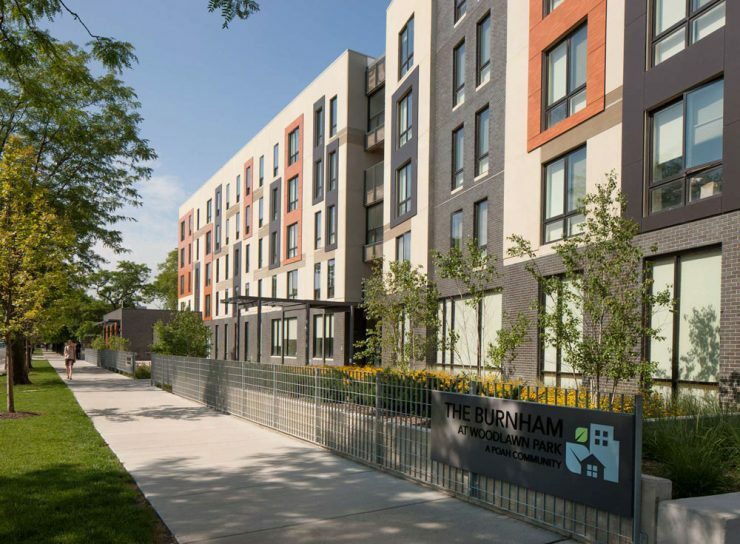 Pedestrian friendly streetscapes with transit-oriented goals, low carbon footprints and other environmentally sensitive building contributions emphasizes Woodlawn Park’s commitment to sustainability.